Bovada was once the ‘Bodog USA’ website, so it is a newer name for an old favorite. An indication of how straightforward the swap to this new name was is that if you ever had a Bodog account, and you are a USA player, then you could log straight into the Bovada site with those details like nothing had changed. 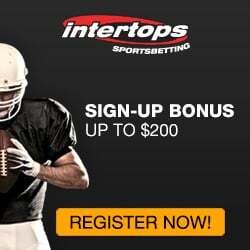 The is one of the best USA online sportsbooks. The name even derives from a combination of Bodog and Nevada, the latter being symbolic with gambling. That history lends a lot of credibility to Bovada because everyone who bets on sports in America knows the crew at Bodog did an excellent job. To be honest, the website design now is far better than what went before. Sure, it is similar, but it is so much nicer to navigate and easier on the eye. WagerWeb Sportsbook has 15 years of excellent service to US players, just Maryland state is restricted. This online sportsbook has a clear and easy to use website. WagerWeb covers all sports betting events. Their sign-up bonuses are some of the best in the business. Their deposit and withdrawal options are good. They have garnered a decent reputation with players and are well worthy of consideration. Most importantly, WagerWeb is trustworthy. These top USA online sportsbooks offer sports betting and everything an American could hope for from their bookie. Honesty, good customer service and impeccable payout history are all the essential ingredients to make it onto this review site. We understand that as an American there has to be a serious decision made when it comes to choosing your bookmaker. We have removed those frustrations and concerns by distilling the entire industry and then refusing to give shelf space to any company that does not live up to our high standards. These sportsbooks are all decent and fun places to get involved in sports betting, without the fear of any nasty surprises. They have gained licenses to operate from countries that regulate their activity to ensure everything is run fairly. While the laws within America itself are confusing, the operators reviewed on this page are certainly deemed above board and legal in the locations in which they reside.